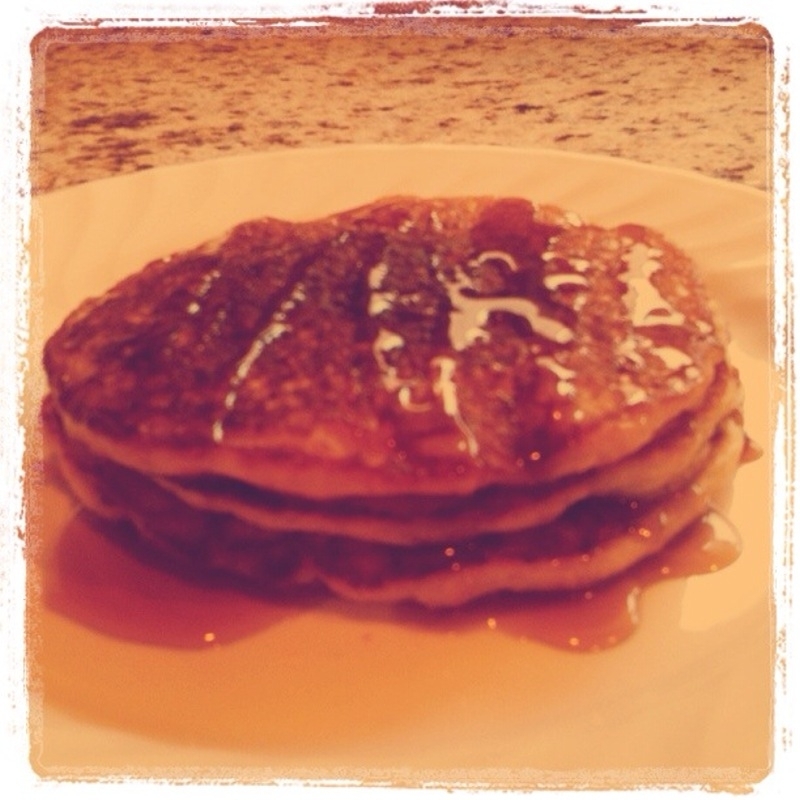 Vegan Apple Cinnamon Pancakes With A Sprinkle Of Organization – Homeschooling in the "D"
My family loves pancakes. Before we started our simple living journey, I made pancakes the regular way – out of the box. While there’s nothing wrong with boxed pancake mix, I wanted to take on the challenge of making it myself… from scratch. Dun dun dunnnn! Let me give you some perspective on my cooking skills. I wasn’t the worst cook, but I was known for the 30 minute-or-less meal. The less time I spent in the kitchen the better, in my humble opinion. I just wasn’t interested in cooking, especially from scratch, but with a growing family it’s inevitable. A healthier and cheaper option – yes, please! So, I had to bite the bullet and get in the kitchen! Luckily we recently renovated our 1980s kitchen, so there’s even more incentive to get in there and cook up some goodness. To begin, I felt the easiest thing to do would be to find out how to make the things we already loved to eat. As I searched, I found a common thread throughout the recipes. The main ingredients (flour, sugar, baking powder, eggs, milk, etc.) were used in almost every one. This got my organizational wheels turning. (insert a dream bubble above my head) By having specifically chosen items in my cabinets at all the times, numerous recipes can be created, planned or not. This saves money, space and time. Now, those three things are attractive in my book! AND this same principle can be used for the rest of my home: building a foundation of mutli-use items (clothing that can be used for several outfits, household products that can be used to clean multiple surfaces, etc. ), I’ll save time, money and space in the future. Can’t we all use that principle in every area of our lives? I know I can. (Bubble pops!) Time to get back to the business of making the vegan apple cinnamon pancakes from scratch. So, to the internet I went and found a simple recipe on food.com that I decided to give it a try with some tweaks. Note: I doubled the recipe to feed two adults and one child and added a twist. Set griddle or pan on low heat to prepare for pancakes. Combine flour, sugar, baking powder, and salt in a bowl. Add soy milk, vegetable oil, cinnamon, nutmeg and applesauce to the mix. Mix until smooth. Test pan to ensure it’s ready for the batter (I sprinkle a few drops of water in the pan to test. If they sizzle right away it’s ready.) Spoon a good size amount of batter in the pan (I used two different sizes, about 6 and 8 inches each.) Carefully flip pancake once bubbles form on the top and the sides are brown and stiff (I added a bit of vegetable oil to the pan while pancakes were cooking so they wouldn’t stick.) Repeat until batter is gone. And voila! You have perfect golden vegan apple cinnamon pancakes that will make your family’s mouths water and your pockets smile. I made eight 6-inch pancakes for my son and six 8-inch pancakes for my husband and I to split. The verdict? Everyone LOVED them! My son asked for two more servings and my husband said they were the best pancakes I ever made. Not bad for a sleepy Saturday morning. So, there you have it. Food, organization, the weekend… what more can you ask for? :o) If you try this recipe, let me know how it turns out. I’d love to hear from you! They really were the best. YOU DA BOMB, MOM!! !